DIY Is Great, But Does It Really Work For Skincare? There’s a great sense of pride that comes from crafting something with your own hands. However, according to a new study from The Huffington Post, these projects might not be the best thing for your health – especially when it comes to skincare. 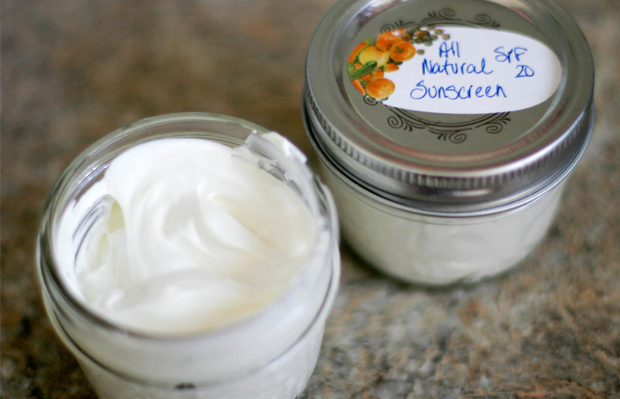 A recent trend in do-it-yourself recipes on Pinterest has begun to include homemade sunscreen formulas, but as Dr. Justin Piasecki of Seattle’s Skin Cancer Center says, there are reasons why this has been left to experts in the past. "It's not simply throwing the ingredients into a bowl and stirring with a spoon. The appropriate measurements need to be present or the active ingredient will likely end up in a clump at the bottom of your mixture and you won't have enough sunscreen to protect your skin," says Dr. Piasecki. "You could even end up with a formula that is uneven and blotchy with some areas of the body getting enough protection and others not so much." For a safer and clinically-tested alternative, try our Rejuvenating Day Lotion SPF 30. Photo courtesy of Simply Sweet Sydney.